Overmolding: process where one material is molded over another material, usually rubber (TPE) over plastic, for visual or ergonomic appeal. 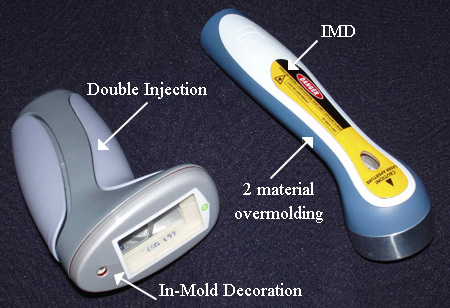 Very often when the design requires "soft touch", overmolding is applied. EMS/ Medical Contract Manufacturing: 10,000 class and 100,000 class clean room. Contract manufacturing with less MOQ cell production system managed by Shop Floor control (SFC) production management system with barcontrol. Yomura Technologies is ISO 13485:2003, 14001, 9001 certified and hold a FDA-510 (K) clearance.